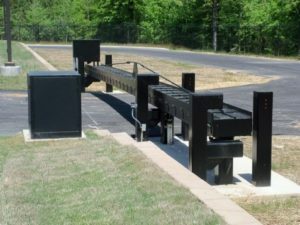 B&B Roadway Security Solutions (BBRSS) is the premier provider of managed lane and perimeter security product solutions. Our clients call upon us to provide expertise in design, engineering, and manufacturing of product solutions for a variety of critical applications. B&B was founded in 1925 and remains a trusted partner that delivers complete project solutions. 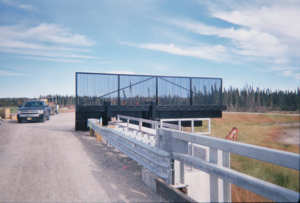 B&B Roadway, a division of BBRSS, provides an extensive line of navigational lights, vehicle warning gates, pedestrian gates and crash resistance barriers for moveable bridge structures and managed lane applications. 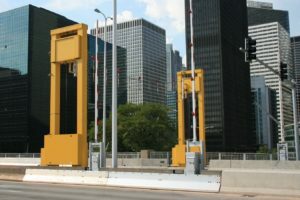 B&B ARMR, a division of BBRSS, provides an extensive line of anti-ram vehicle barrier systems used in perimeter security and access control solutions for some of the world’s most secure locations and critical infrastructures. Both divisions offer product solutions that are designed for ease of integration to local project requirements and can operate under harsh environmental conditions. 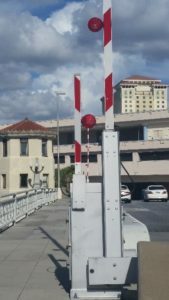 B&B Roadway extensive line of vehicle and pedestrian warning gates are used to alert approaching motorists and pedestrians of the anticipated movement of a moveable bridge structure. 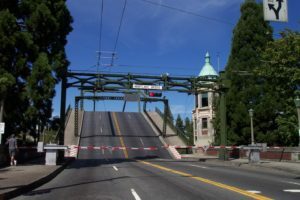 In additional to warning gates, resistance barriers are used to prevent further vehicle penetration should a motorists fail to stop at the warning gate. 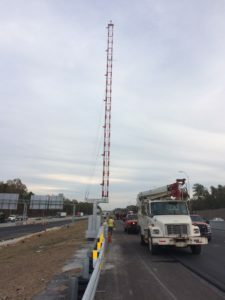 Our newest resistance barrier, the VT-6802HDTR, is a heavy-duty, vertically operated, penetration resistant barrier system used to cover spans up to 53-ft and has been tested and certified to the MASH TL-2 crash test standards. 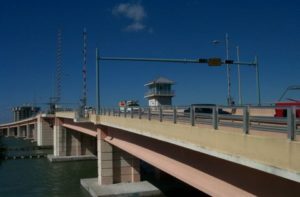 Additionally, the barrier system is designed to withstand hurricane force winds in excess of 100 mph and remain operational under significant ice loads. The VT-6802HDTR is an excellent solution for applications involving moveable bridges, reversible lanes, rail crossings, toll lanes and various applications where lane management is required. 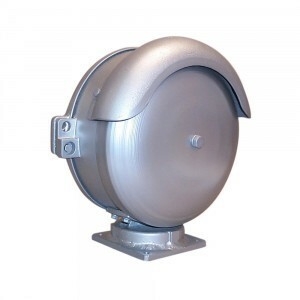 Features include a unique tri-arm, lightweight energy absorbing design, superior corrosion resistance, and simplified install and maintenance. 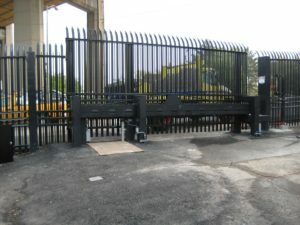 B&B ARMR’s 400/450 Series crash gates present a formidable visual deterrent and provide maximum perimeter protection against unauthorized vehicles entering a high security facility or critical infrastructure asset. The strength and durability of the 400/450 Series makes them highly suitable for anti-terrorist protection. 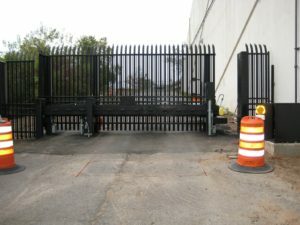 DOS-certified and crash-rated, B&B ARMR’s 400/450 series gates are designed to immobilize a vehicular threat weighing as much as 15,000 lb. (6,804 kg) and moving at speeds of 50 mph (80 km/h). 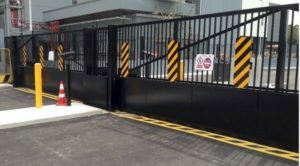 The gates cantilever design allows for simple installation without the need of a ground track, overhead track or bottom guide wheels and has the capability to blend in with an existing fence line or be provided with decorative infills. 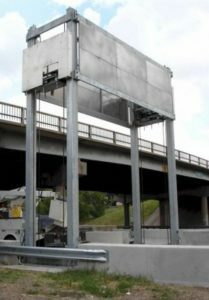 Designed for continued operation, the 400/450 series are used in hundreds of secure locations throughout the world to include numerous applications for bridge protection. 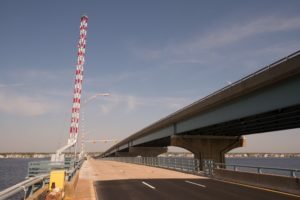 BBRSS’s combined solutions bring peace of mind to bridge owners, A&E design firms, and bridge operators and maintenance personnel that they are providing the highest levels of protection to motorists, pedestrians and the bridge structure itself. Each member of the BBRSS team strives to provide excellent customer service through the project’s successful completion and often build relationships that lasts for years. From design, project management, manufacturing and post-installation support, BBRSS is the clear choice for clients who demand quality, serviceability and dependable product performance that lasts generations. 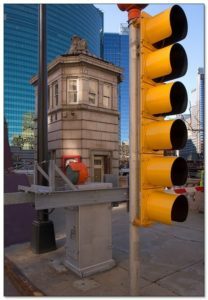 Experience in perimeter security and traffic control since 1925! 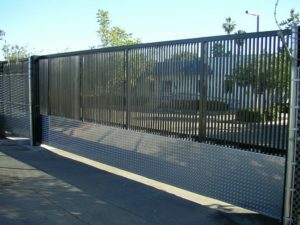 B&B ARMR is the premier provider of anti-terrorist and crash-rated perimeter protection products and designs. 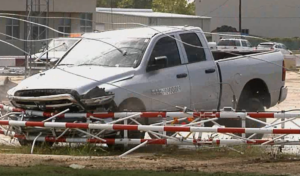 We also manufacture, distribute and service the most extensive line of crash-rated and engineered wedge barriers, bollards, crash beams and gates to critical DOS and DOD standards. Facilities and environments worldwide who require the highest level of protection rely on B&B ARMR to assist them in their first line of facility defense.